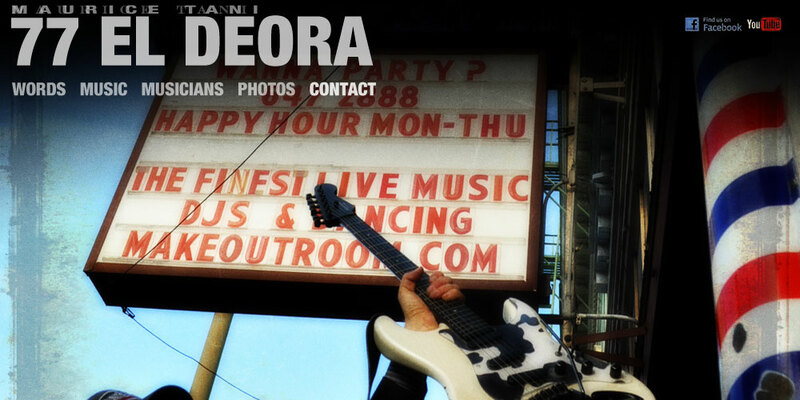 Receive colorful email notices for shows like those found in the Past Shows section of this site by sending an email to the General Contact address above saying something to the effect of, "Put me on the 77 EL DEORA email list, please." If you are a programmer, journalist or other media type, we can send you our press/promo materials either through the mail or electronically from our high tech, futuristic, flying cars, digital download site. Write to us through our General Contact address and we'll send you the username and password. You can download everything (all the tracks, bio, one-sheet, photos, etc) immediately. It's tough enough to find intelligence right here on Earth, so we're broadening the search. SETI@home is a scientific experiment that uses Internet-connected computers in the Search for Extraterrestrial Intelligence (SETI). We participate by running a free program that downloads and analyzes radio telescope data. You can help us do it. 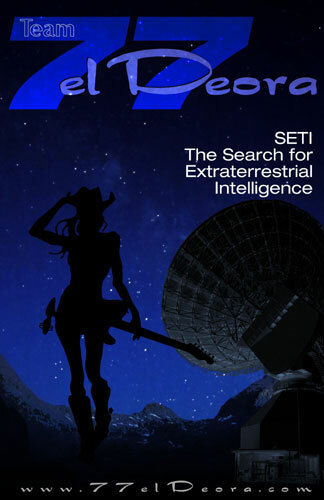 Go to the BOINC-SETI web site ( http://setiathome.berkeley.edu/ ) and download the software, sign up, and when it asks if you want to join a team, find 77 el Deora and sign up. Set the BOINC as your screensaver. This will make it run the program everytime you are away from your computer.